Matthew Tabor was born and raised in the Nolensville TN. He started playing baseball at the age of 4 in the Nolensville Recreational Leagues and continued until he was 10 years of age. Between ages 5-10 he was selected each season to the all-star teams. At age 11 Matthew began playing baseball at Music City in Nashville TN on travel baseball teams based out of Middle Tennessee. He continued to play on the travel teams out of this area playing all over the state and multiple tournaments in the surrounding region. While playing travel ball in his teens he was also selected to play for the Brentwood High School baseball program. He attended Columbia State Community College where he had a brief stint on the pitching staff before moving on to peruse his career in Information Technology. Between ages 18-22 he continued to play in summer wood bat leagues including the SANDLOTT Sports wood bat league. 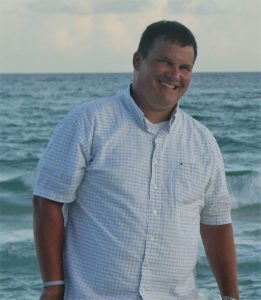 Matthew currently resides in Nolensville TN with his wife and three children. He began coaching when his oldest son turned 3. Matthew has continued coaching and for the past two seasons has been coaching travel baseball teams in 7u and now 8u.